Adopting the painterly language of Abstract Expressionism, Chavez has created these candid mixed media works on delicate Japanese paper through a process that converts sensory deprivation into drawing. Carceri, which literally means isolated places, were inspired by Saint Francis of Assisi's journeys into caves to meditate where he wore blinders, claiming the radiance he experienced within his mind during meditation was so great that any additional light would be lethal. 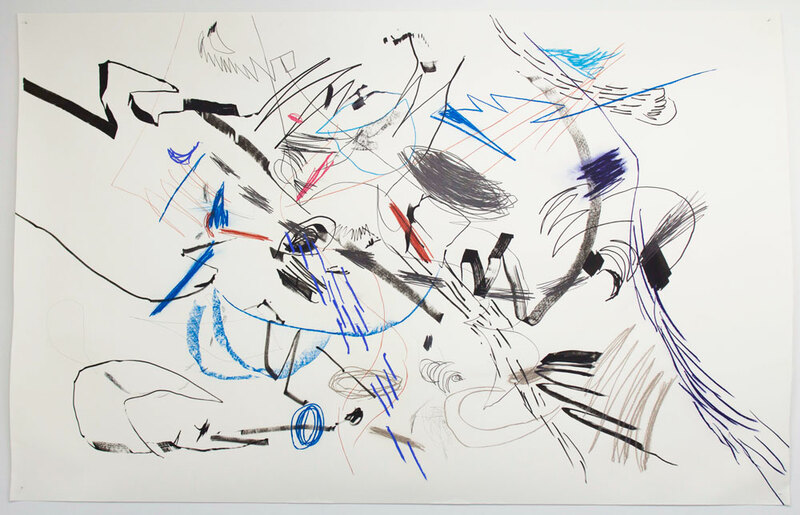 Comprised of complex gestural glyphs which reference ancient cave art, these drawings were generated through several hours in a meditative state while continually blindfolded without sound. Known for her durational meditative performances — intense bouts of introspection that can last up to 10 hours — Chavez explores what she deems "interior optics," a series of otherworldly visions accessed by depriving herself of light for prolonged periods of time. She slips into deep states of analytic meditation while blindfolded, and attempts to capture the visions she perceives across the internal visual field of her mind. 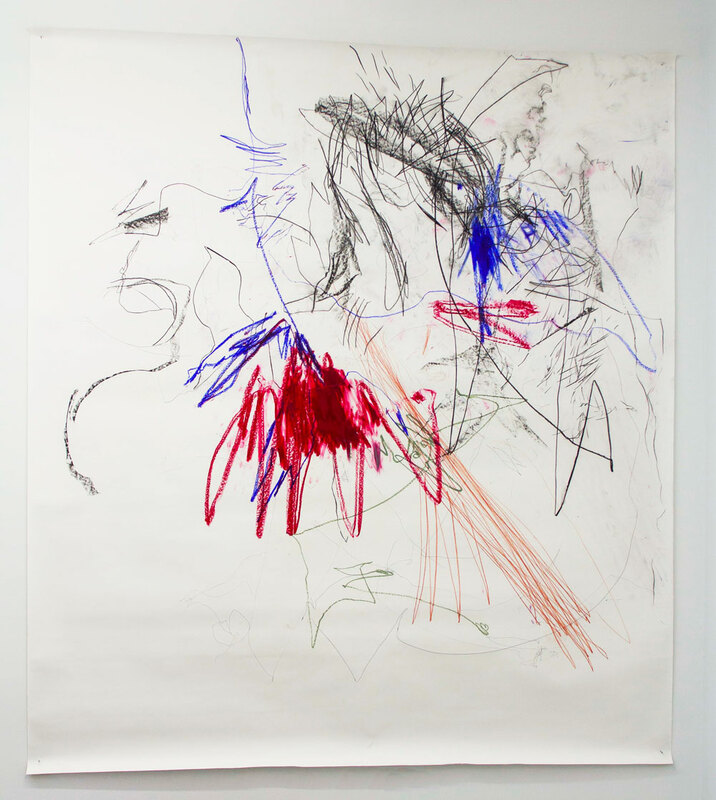 To do so, she positions herself atop the paper's surface, recording a vast accumulation of visual ephemera with paint, charcoal, graphite, oil pastel, and ink as she meditates. She likens the process to Hubble Ultra-Deep Field imagery which collects the light of luminous objects of outer space. Her explosive, preternatural mental imaginings resemble electricity, clouds, firebolts, and stars, drawing an eerie parallel between the mysteries of outer and inner space. The listening facilitated by extreme forms of aural and visual silence has been central to the artist’s process and has proven to be a useful tool for generating natural breakthroughs of perception. Chavez states, "I am interested in what happens to art when the human eye becomes a vessel for a light that is beyond its natural capacity. Will that vessel burst or expand?"